Throughout the nineteenth and into the early decades of the twentieth century, it was common for rural and working-class parents in the Czech-German borderlands to ensure that their children were bilingual by sending them to live with families who spoke the "other" language. As nationalism became a more potent force in Central Europe, however, such practices troubled pro-German and pro-Czech activists, who feared that the children born to their nation could literally be "lost" or "kidnapped" from the national community through such experiences and, more generally, by parents who were either flexible about national belonging or altogether indifferent to it. Highlighting this indifference to nationalism--and concerns about such apathy among nationalists--Kidnapped Souls offers a surprising new perspective on Central European politics and society in the first half of the twentieth century. Drawing on Austrian, Czech, and German archives, Tara Zahra shows how nationalists in the Bohemian Lands worked to forge political cultures in which children belonged more rightfully to the national collective than to their parents. Through their educational and social activism to fix the boundaries of nation and family, Zahra finds, Czech and German nationalists reveal the set of beliefs they shared about children, family, democracy, minority rights, and the relationship between the individual and the collective. Zahra shows that by 1939 a vigorous tradition of Czech-German nationalist competition over children had created cultures that would shape the policies of the Nazi occupation and the Czech response to it. The book's concluding chapter weighs the prehistory and consequences of the postwar expulsion of German families from the Bohemian Lands. 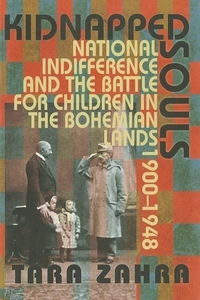 Kidnapped Souls is a significant contribution to our understanding of the genealogy of modern nationalism in Central Europe and a groundbreaking exploration of the ways in which children have been the objects of political contestation when national communities have sought to shape, or to reshape, their futures.